How can we make the quality of self-publishing better for sellers and assist writers who just may be worthy of a wider audience? The upsurge in self-publishing has created a real challenge for booksellers. At the same time as more writers are publishing their books, traditional publishers are consolidating to global centres. Some writers have always printed their work, but technology has made the process a whole lot easier. The limited amount of room on mainstream publishers’ schedules means the production, sales and marketing of locally written books is much more difficult. From a bookseller viewpoint, the shrinking number of "mainstream" publishers means they must have fewer options in sourcing genuinely local fiction. The marketplace for locally produced books is well-served in terms of non-fiction – cooking, gardening and sports heroes are to the fore. During a recent discussion with a bookseller, he told me how a writer we were both dealing with deserved to be produced by one of mainstream publishing groups and he was frustrated that she had not been successful. Booksellers would much rather writers dealt with mainstream publishers for practical reasons. Although they may want to support local authors, booksellers find difficulty in dealing with self-published books from the practical viewpoint of inventory, marketing and accounting. It is much easier for booksellers to account for sales involving highly computerized and controlled mass publishing and distribution houses. Independent booksellers are heroes in their attempts to cope with the self-published, but they are facing overwhelming economic odds in trying to cope with the current marketplace. As a result of this conflict of interests, I have started a project called Local Books as an offshoot of our publishing services company Business Media Services Ltd and its imprint BMS Books. 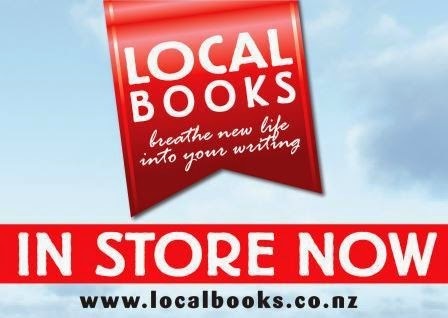 Launched on 1 August 2014, the starting point for Local Books is reviewing self-published books sent in to ensure they are up to the standard required by booksellers. Once accepted, we utilise our services to manage the marketing and sales of books on behalf of the writers. What concerns me is that the pay-for-print businesses focus on production requirements rather than on what would be the traditional content required to make a book a professional product. Writers paying by the page seem only too willing to sacrifice quality to save money. For example, books are very often printed without front matter, without a contents page for example. The book one writer sent to included, as well as no front matter, upside down pages. It is important to advise writers whose self-published work is not up to bookseller standard. I am hoping our service can help self-published authors before they spend all that eye-watering money on what amounts to "no fault" printing. The response from booksellers has been positive in that they recognize the importance of having outlets for the self-published, but welcome anything that assists in this process. The caveat, which I take on board, is that although the service BMS is offering looks terrific, booksellers must still be able to sell the product.